—A recent trend among some loudspeaker manufacturers is leading us toward a maximum dB SPL "arms race," in which the object is to publish the highest possible numbers at the lowest possible product cost. —Christopher Miller, executive director of Professional Systems Network International, shares his keys to longevity in the industry. 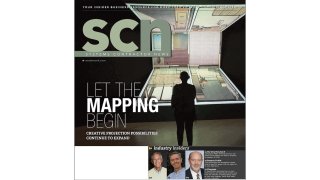 —For SCN's annual Best Practices Guide, we turned to the biggest companies in the SCN Top 50 Systems Integrators for a look at how they continue to improve their best practices. —When dealing with C-level executives like CIOs to design or specify an AV system, integrators need to put themselves in the mindset of these individuals in order to work with them to improve their businesses. —Are your customers' and prospects' expectations vastly different than what they were just a few years ago? Are they asking you to respond faster and at almost any time of day? Across almost all industries the answer is a resounding yes.